Once bed bugs have invaded your home and made populations in your furniture, they are almost impossible to get rid of without professional help. Amherst Exterminators conducts bed bugs removal in Buffalo, New York, and the surrounding areas to get rid of this difficult problem. 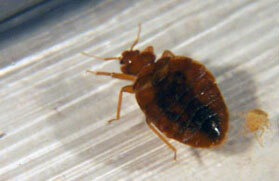 We work quickly and effectively to destroy the bed bug populations inhabiting your home. It is important to take preliminary steps to prepare your home for bed bug removal and to make sure all the bugs are destroyed. We have outlined a few important steps to take before the exterminators arrive and facts about bed bugs that help you identify a problem. 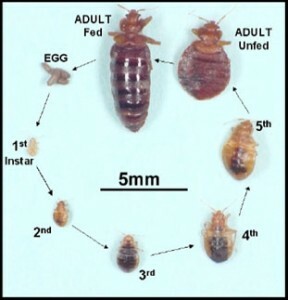 Because they are so small, especially in larval stages, bed bugs can be difficult to detect at first. They are also very good at hiding, so you may not see them, or you may only see one or two, when a larger population is hiding in your mattress or sheets. Bed bugs have adapted over years to their surroundings, so they can hide in many different places, including furniture, mattresses, sheets, clothes and even in outlets or inside walls. Bed bugs will not go away on their own. Even if there are no humans or pets in the home for an extended period, the bed bugs can survive up to a year without feeding once. 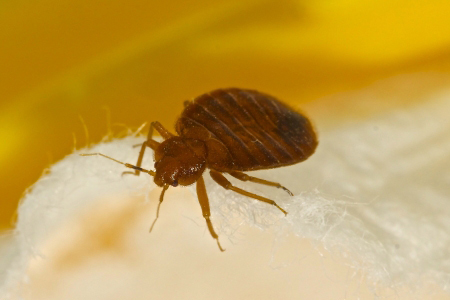 Don’t let bed bugs control your home. 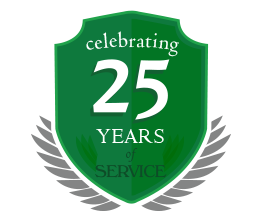 Call Comfort Pest Control today for pest removal in Buffalo. Insects can live over 1 year without a blood meal. Lifespan up to 4 years. 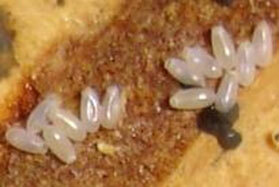 Female lays eggs daily which hatch after 1 to 2 weeks; over a lifetime totaling up to 500 eggs. Cannot survive heat > 120 F for more than a few hours. Live in the house and in furniture. “Bed Bugs” (Cimex) hide during the day in dark places. Sheets, blankets, mattresses, box springs, headboard. Floors, walls, doors, windows, woodwork, behind light/outlet plates, behind wallpaper, curtains/drapes, cracks/crevices, upholstered furniture, behind pictures. Closets, bags, clothing, drawers, old books, papers. Color: brown, red or clear. Where: hide in furniture, bed, walls and floor during the day. Signs: Blood stains on bedding or walls. COLLECT ALL FABRIC ITEMS IN BAGS. Remove bags from your home. in a washing machine. Seal and throw away empty trash bags.